Earl Waibel interviewed January 2013. 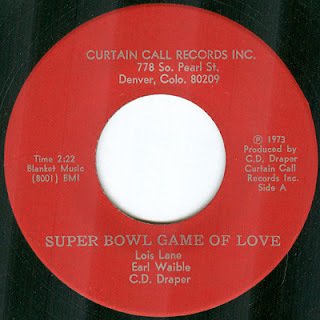 As the Super Bowl is this Sunday, I thought now would be a good time, if any, to feature the single "Super Bowl Game of Love," from Denver's Curtain Call label - the vanity label for C.D. Draper. Curtain Call was pretty prolific in 1965, however I can find nothing released by the label for the next six years. Then, in 1971, Draper and Curtain Call surfaced again, with the release the LP See the Eagle Die for Running Bear. That same year, Billboard mentioned that "C. Dean Draper and group just finished a stand with Doug Kershaw at Marvelous Merv's in Denver." 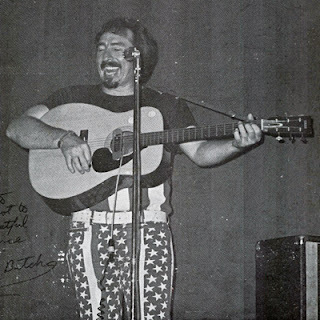 Also in 1971, Draper would write "California Oakie," which Buck Owens would cover a few years later. 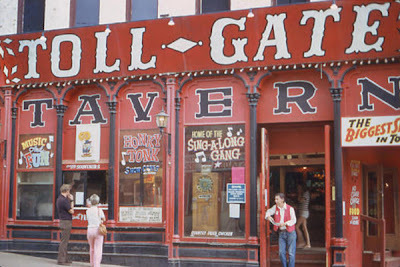 Around that same time, Draper hooked up with the house band, performing in Central City, at Earl's Toll Gate. "I had been working there, commuting back and forth from Denver," said Earl Waibel, who played with Draper in the Toll Gate house band, and was somewhat of a Central City band veteran, previously playing at Gilded Garter. In 1971, the summer tourist season ended, and the work in Central City dried up, so Waibel and Draper began looking for gigs in Denver. They eventually regrouped as the house band at the 400 Club, a strip joint in downtown Denver. "We always had a few Denver Broncos players drop by," Waibel said. "But I won't reveal their names." One Sunday, after a football game, an audience member requested a song about the sport. "Everyone knew "Take Me Out to the Ballgame" was the consummate baseball song, but there was really no song anyone could identify with for football." For Waibel, the timing was perfect. "I had actually been working on a song about football, so I said 'I have a song,' and so I sang it. The audience had lots to drink, and though it was funny." Draper saw the reaction and, being ever the marketer, saw an opportunity. "He pressured me to finish it, so he could record it," Waibel said. "It took about a year for me to do it." Recorded in 1973, "Super Bowl Game of Love" was performed by Lois Lane, a Waco, Texas country singer, working in Colorado, who had previously toured with Tex Ritter, Red Foley, Flatt and Scruggs, and numerous other country luminaries (Lane was inducted in the Colorado Country Music Hall of Fame in 2000). 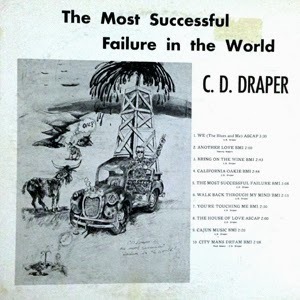 Draper marketed the record around the country, but the single failed to see the enthusiasm shown at The 400 Club. "It won 'Pick of the Week." on a Nevada radio station," said Waibel. "I received a royalty check for $3.87, but that was it." 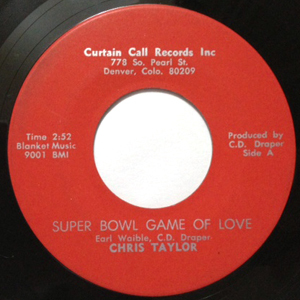 Draper would go on to re-release Super Bowl Game of Love (year unknown) with singer Chris Taylor (b-side "We")...and he still misspelled the songwriter's name. 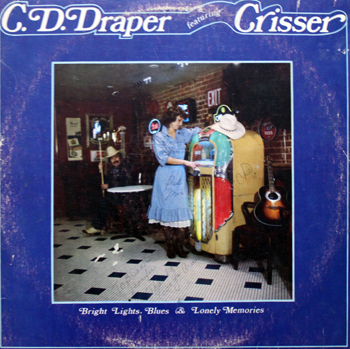 Draper would later release the LP Bright Lights, Blues and Lonely Memories - C.D. Draper and Crisser (Chris Taylor?). 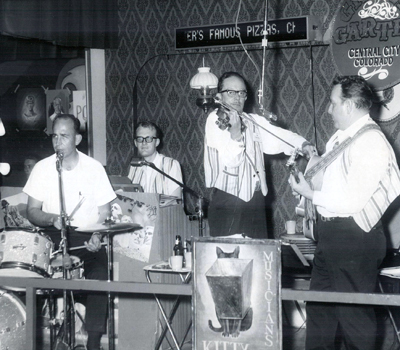 Earl Waibel would leave country music to join the dixieland band The Boomtown Stompers. He went on to become an accountant. He has since retired, in Denver.